JOHOR BARU, March 25 — Two directors of a used tyre processing company were each charged at the Sessions Court here again today, with 15 offences involving the disposal of scheduled wastes and air pollution in Sg Kim Kim, Pasir Gudang, early this month. Their company, P. Tech Resources Sdn Bhd, was also slapped with the 15 charges. They were alleged to have committed the offences at 12.25pm at the company’s premises at PLO 113, Jalan Nibong 2, Tanjung Langsat Industrial Area, Pasir Gudang on March 11. 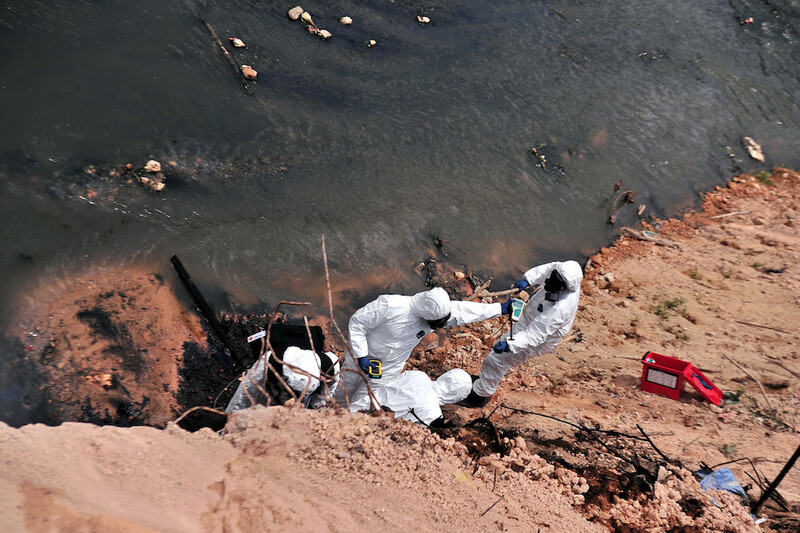 Yesterday, Yap and Wang were charged at the same court with conspiring with a lorry driver, N. Maridass, to dispose of scheduled wastes into Sungai Kim Kim in Pasir Gudang on March 7, without the approval from the Director-General of Environmental Quality.